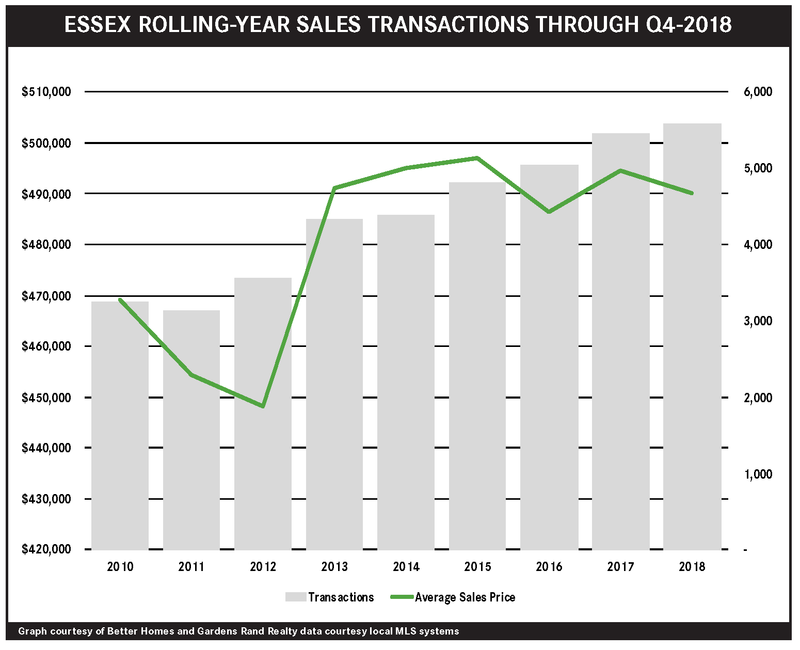 The Essex housing market experienced a strong third quarter, with both sales and prices rising in what is now a pretty robust seller’s market. Sales were up over 5% for the quarter, finishing a year in which they rose about 3%. 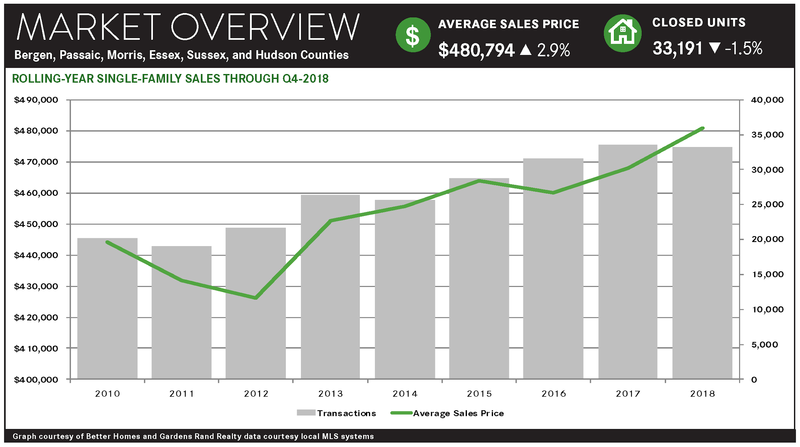 That’s not a torrid transactional pace, but compared to other counties in the market, which generally saw flat or declining sales due to the lack of inventory, it was a pretty encouraging result. 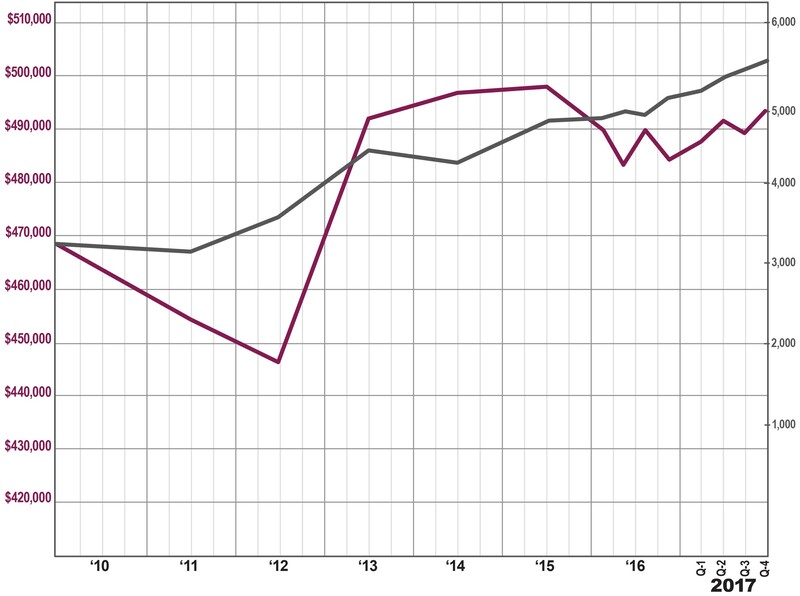 And prices were up for the quarter, rising a tick on average and up almost 3% at the median. 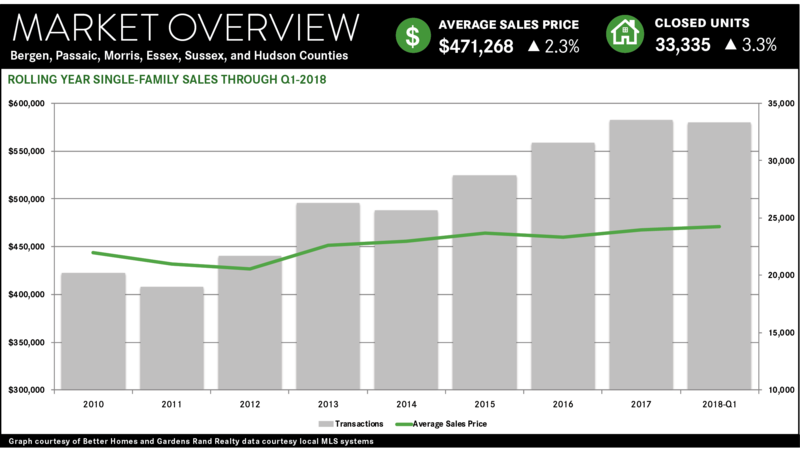 More importantly, we’re seeing long‑term price appreciation, with average prices up over 1% and the median rising almost 5% for the rolling year. 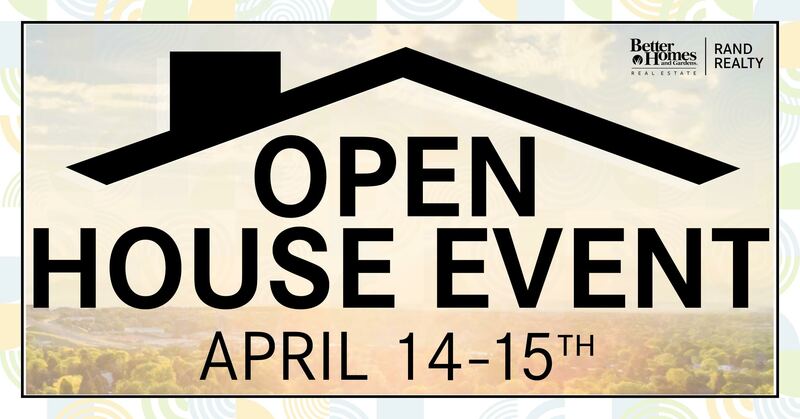 And we’re seeing seller’s gain leverage in negotiating, with the days‑on‑market falling over 5% for the quarter and now 7% for the year, and the listing retention rate continuing to go up above full price. 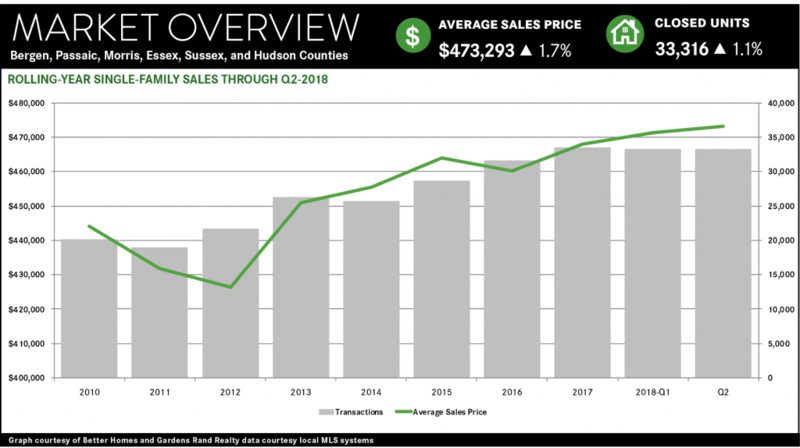 Going forward, with inventory still falling, we might see some restriction on sales growth, but we believe prices still have room to go up through the fourth quarter and into 2019. 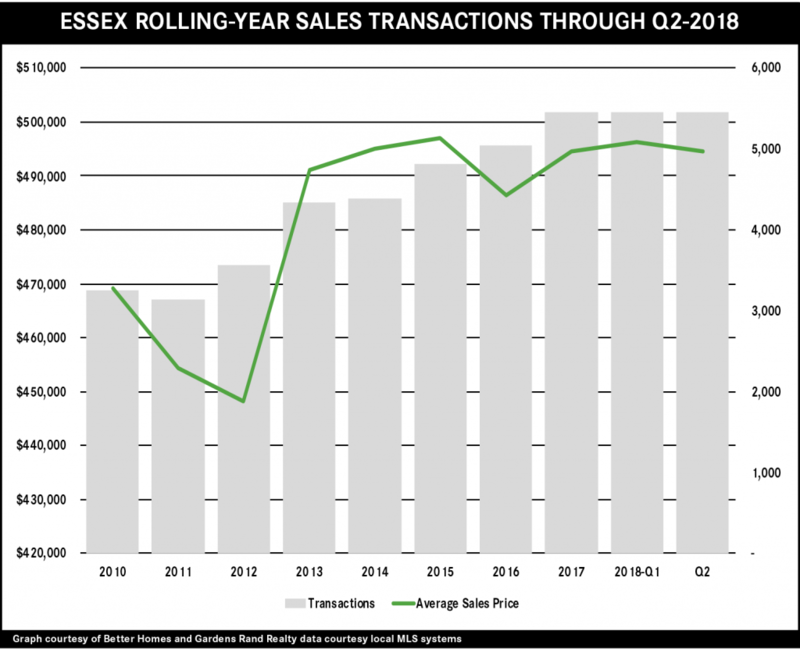 The Essex housing market was flat for the second quarter, with mixed results in sales and pricing. Sales were up just a tick from last year, and are up about 2% for the rolling year. That said, we’re now seeing sales at levels higher than any time in the past 15 years, since the height of the last seller’s market. 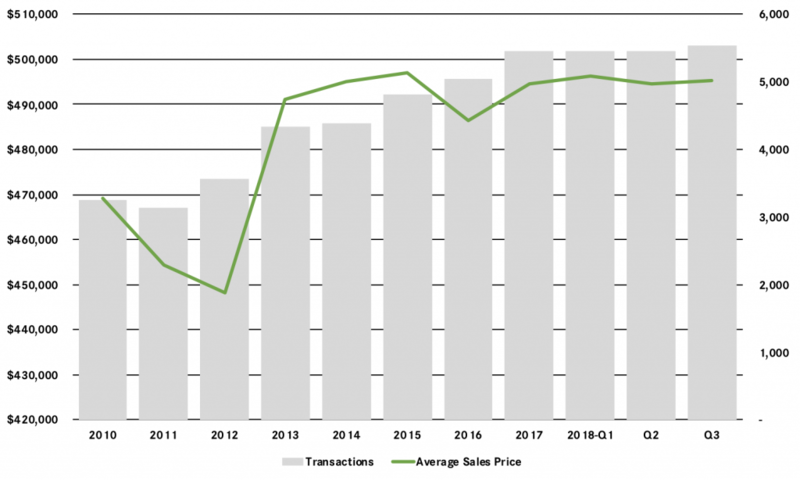 To get sales moving, though, we need more supply in the market, since the months of inventory has now settled at the six‑month level that usually signals a seller’s market. But reduced inventory has generally been driving some meaningful price appreciation: although pricing was mixed for the quarter, it was up almost 3% at the median for the rolling year. 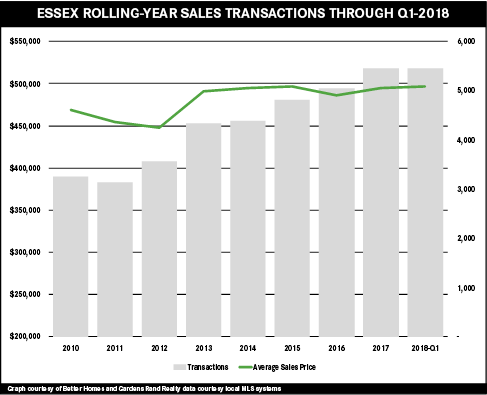 Going forward, we believe that stabilizing inventory will support a solid summer and fall market, with both sales and prices rising over last year.